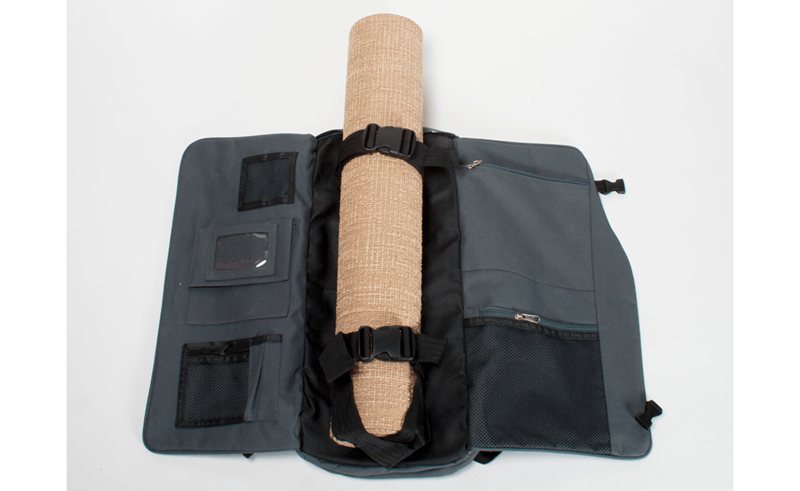 A multi-purpose mat backpack for all your traveling needs! 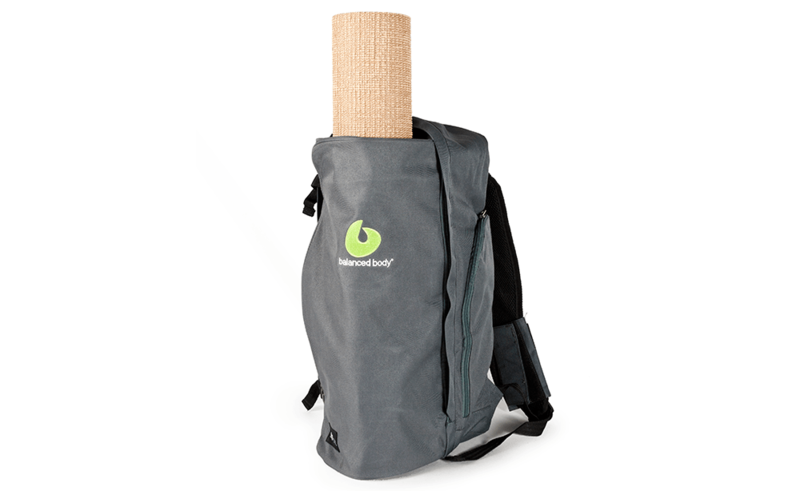 This durable, machine washable backpack is made of 600 denier polyester twill and securely holds your mat of virtually any size or thickness. The large main compartment transports a change of clothes and shoes, plus any other items you may need to go from the gym to the office, or vice versa, plus an internal mesh pocket. The outer flaps contain spots for pens, your id, or an assortment of other items, plus the side zipper pocket perfectly holds a water bottle. Also includes a convenient external pocket for your cell phone. 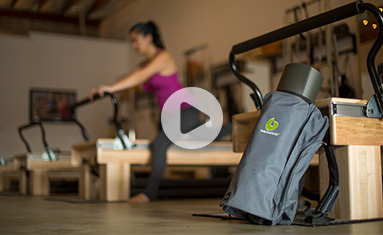 Padded shoulder straps adjust for comfort. 20" (50.8cm) long x 9" (22.9cm) wide x 6" (15.2cm) deep.